Prior to beginning his legal career, Aaron M. Hudson served as a U.S. Army paratrooper stationed in Alaska and with the 82nd Airborne Division. It was during his proud service that he developed the fearlessness and leadership he employs today as a Managing Attorney with the Law Offices of Christian Schank and Associates. During his military service, his competitiveness and communication skills, as well as his superior ability to quickly learn and apply information, culminated in his selection as the U.S. Army Pacific Soldier of the Year in 1994. After his honorable discharge, Aaron obtained an Associate Degree in Paralegal Studies from MTI College of Business and Technology in Sacramento. From there, he was admitted to Lincoln Law School of Sacramento, wherein he received honors for the top grade-point-average in his first year, and American Jurisprudence Awards in both Torts and Contracts. He was also honored in Moot Court with Best Written Brief and received Honorable Mention in oral argument. Upon graduation, he passed the California Bar Exam on his first attempt. 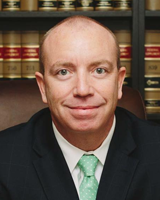 For over 20 years, Aaron has done every job within a litigation firm, from his first job as the errand-runner of a mid-size firm, through ranks as assistant, paralegal, law clerk and then associate attorney. Although he spent many years as the owner of his own thriving law practice, Aaron is now in his ideal role, as the Managing Attorney of the one the best family law litigation firms in the Inland Empire. Aaron has been certified as a Family Law Specialist by the State Bar of California, Board of Legal Specialization. Aaron shares custody of his three young children, so he is keenly aware of the challenges that brings. As someone who has been on the same side of the table as many of his clients, Aaron draws on his personal experiences to be a compassionate counsel to his clients. Aaron empathizes with the feelings of his clients—especially when dealing with the sensitive area of child custody, spousal support, child support. In his free time, Aaron is either enjoying time with his children or hitting the open road. His hobbies are consistent with his personality and style of law practice: Harley-Davidsons and Mixed Martial Arts. Aaron goes above and beyond for his clients, providing outstanding legal services in all of the Southern California counties, but especially Los Angeles, San Bernardino, Riverside, and Orange. He has been admitted to practice in all state courts of California since 2001. AtSchank & Associates we understand that the legal decisions you make during a family law matter or other emotional times can have long-range effects on your life, so we feel strongly that one of our jobs is to advise you as to the positive outcomes and possible consequences of certain actions. Of course, the final decisions are yours to make, but we understand how important it is to protect your rights and relationships. We will let you know what your choices are and strategize by guiding you to achieve your goals with a minimum of expense, delay and emotional damage.